Laparoscopic surgery is a kind of minimally invasive surgical technique that allows for smaller incisions. 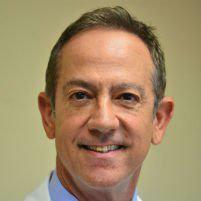 Dr. Moses Fallas is a general surgeon serving the West Los Angeles area in Beverly Hills, CA who performs all types of advanced laparoscopic surgery. "Dr. Fallas saved my life twice. He is a wonderful doctor and a lovely and humble person." "Knows his stuff and I couldn't ask for better." "For anyone facing gallbladder surgery, THIS IS THE DOCTOR." "For anyone facing gall bladder surgery, THIS IS THE DOCTOR." Laparoscopic surgery is a surgery that is specifically designed to be minimally invasive. Traditional surgery, also called "open" surgery, requires incisions that can be several inches long, but laparoscopic surgery only requires a series of very small incisions. Many of the same surgeries that were once performed as open surgery can now be done in a much less invasive way with laparoscopic surgery. How Is a Laparoscopic Surgery Performed? In a laparoscopic surgery, the surgeon will use a very long and slim device known as a laparoscope to get an up-close view of the patient's inner organs. The laparoscope is placed in the abdomen via a tiny incision, and the camera within the device will provide the surgeon with the images they need to provide diagnosis and treatment. When the patient needs a surgical correction, additional tiny incisions are made so that the necessary medical tools can be placed properly. In some cases, the tools may be placed through the laparoscope incision as well. What Type of Pain Relief Is Used During Laparoscopic Surgery? In most cases, laparoscopic surgery is performed under general anesthesia, which means that the patient will sleep through the entire procedure. In some cases, only local anesthesia may be required, so the patient may be awake but feeling no pain during the procedure. What Is Recovery After Laparoscopy Like? Laparoscopy recovery is typically far easier than recovery from open surgery. During the first few days post-surgery, patients may experience some tenderness around the incision areas. A mild to moderate pain in the shoulder or back is typical but this is a result of gas in the abdomen so it will likely abate quickly. For minor surgeries, patients may need to take only a few days off work, while more complex laparoscopic surgeries may require a week or more off work. Dr. Fallas is a Medicare provider and will work with all major insurance plans. Please contact the office directly for insurance inquiries. "Dr. Fallas did an incredible job. I am very relieved and would recommend Dr. Fallas to anyone looking to have this procedure done." "I had breast cancer and he did a brilliant job. If you didn't know I'd had breast surgery, you'd never know." "With Dr. Fallas's approval, and after a 3 week recuperation, Alan is playing tennis again this week. We give him the highest rating. Thank you Dr. Fallas!"